Our rug cleaning services are an important way we help clients preserve and care for their handmade and machine-made area rugs – including Persian, Turkish, Moroccan, Chinese, Indian, Bolivian, Caucasian, Aubusson, Savonnerie, Navajo, Kilims, Dhurries, Tapestries and all other hand-knotted and machine-made rugs and carpets. 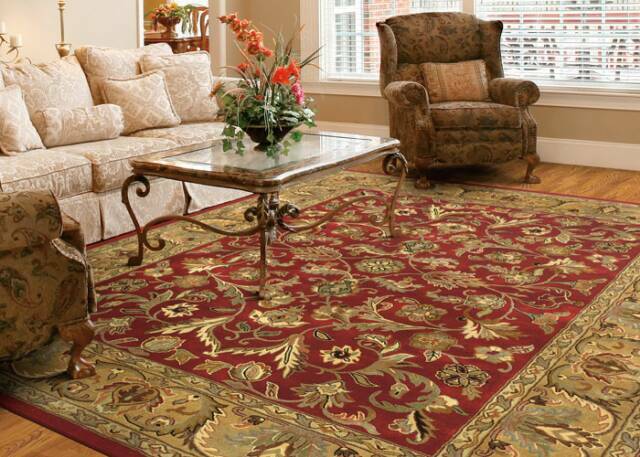 At Oriental Rug Salon, we understand your area rugs are an expensive and beautiful investment and when cared for properly can last for many generations. We are proud to be the cleaner of choice for many leading interior designers, area rug collectors, floor covering specialists, insurance companies, museum and thousands of loyal clients who trust our services on a daily basis. Oriental Rug Salon is one of the few companies in SW Florida that owns and operates their own rug cleaning and repair facility. We’ve all heard the horror stories of carpet cleaning companies attempting to clean valuable Oriental, wool or silk area rugs at a client’s house and oftentimes, with disastrous results. We’re also keenly aware of these same companies removing a treasured heirloom from a client’s home to “take to their shop for cleaning” when the facts are the rug is power washed on a concrete floor, or worse, in a parking lot, using non-approved cleaning solutions, no dusting, no certified rug cleaning specialists and no idea what they’re doing. Abuse like this can lead to color bleeding, shrinkage, distortion of fibers and a host of other damaging-permanent results. Insurance companies have case files of reports where carpet cleaning companies failed miserably at cleaning a client’s Oriental rug and ended up ruining it. NEVER trust your rugs to anyone but a company that specializes in Oriental, wool and silk area rug cleaning and verify they actually own a specialized rug cleaning plant. Oriental, wool and silk rugs are beautiful and are not just area rugs designed to complement a room. Many have been handed down from a loved one and are priceless to us. Others are art treasures or valuable investments. Regardless of the “street value” of your rug, the same amount of pride, attention, detail and love go into each and every rug we are privileged to spend time with.